Oops! I am late. I missed my Sunday post for the first time in a couple of years. 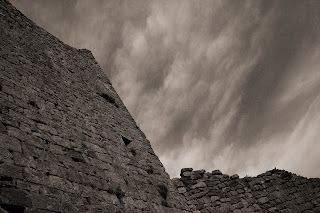 Early in our French adventure my good friend photographer Daryl Black emailed me about the stone work in the medieval castles and churches I was photographing and the pueblos of northern New Mexico. Not only were the materials and processes comparable but so too were the eras in which the castles, churches and pueblos buildings emerged. In this juxtaposition are Sabron du Ponteves in Bargeme and Pueblo del Arroyo in Chaco Canyon. 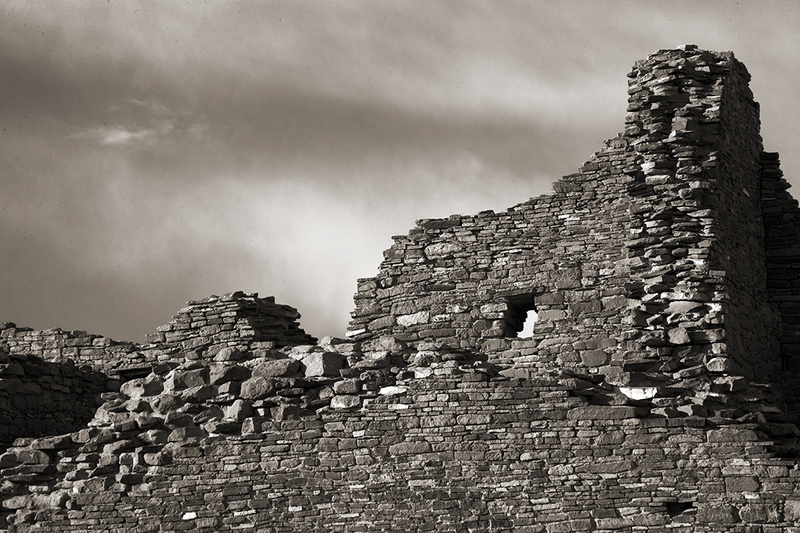 The similarities in 1,000 year old ruins 5,000 miles apart are startling.